When you choose to live at The Mansions at Alpharetta in Alpharetta, GA, you’ll have all the everyday conveniences you could ask for, and even more that will surprise and delight you. With entertaining activities, savory dining options, and a selection of life-enhancing therapy services, you’ll always be happy coming home to The Mansions. From painting classes to pool tournaments, there’s always something fun to do at The Mansions at Alpharetta. Join us for a planned social gathering or volunteer to help fundraise for a local charitable organization. Whatever your interests, we’re sure to have an option that will keep you entertained. At The Mansions at Alpharetta, our therapy services are one of our distinguishing factors. 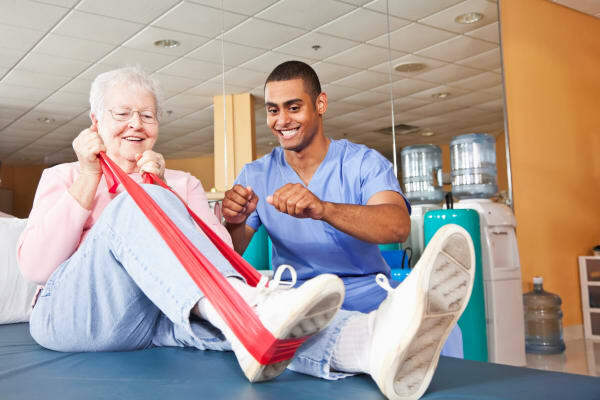 Strong Living with FOX Rehabilitation is simply something residents don’t receive in other Assisted Living communities. If your focus is on Wellness and maintaining your independence for as long as possible, you need to read about Strong Living! Treat yourself to a healthy, delicious meal at The Mansions at Alpharetta. Craving a home-cooked, fresh-prepared meal? Our Food Service Director is whipping up tasty lunches and dinners in the Garden Terrace Dining Room.